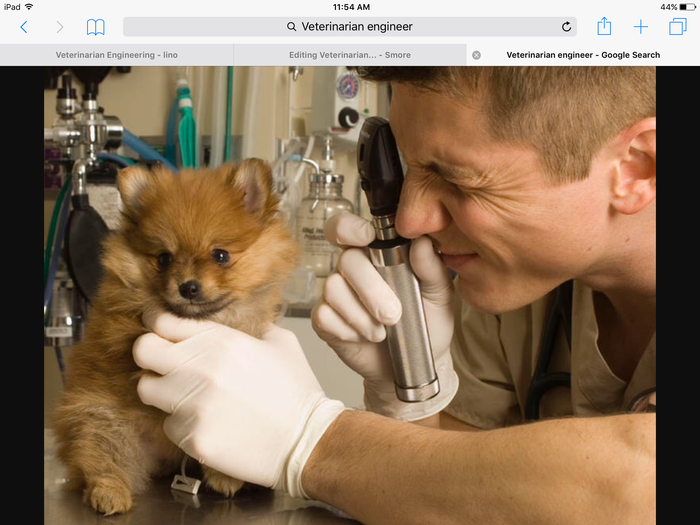 What is a Veterinarian Engineer? 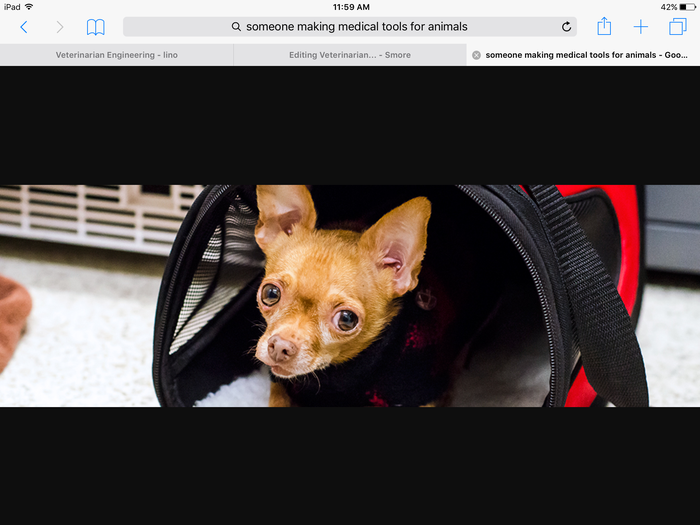 A veterinarian engineer is someone who invents and makes medicine and tools to heal animals. When an animal looses a lim of any body part they also make a special prosthetic to let them be able to walk again. They make $20.00 an hour and $91,250 a year. 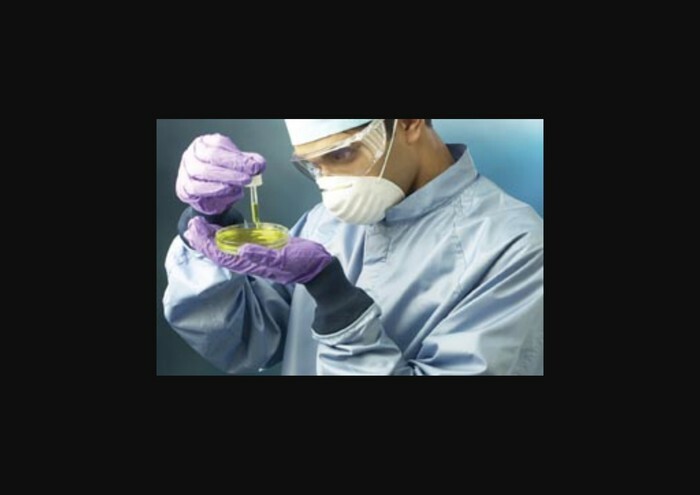 The environment Veterinarian Engineers work is in a lab or clinic. They have the risk of being bitten and clawed when studding the animals so they can make the medicine to help them. When a large animal is hurt they have to go to the location of the animal, with all there equipment to be able to help them. If you want to help animals but you don't think this job is for you there are similar jobs: Zoologist Engineer, Biomedical Engineer, Veterinarian, Veterinarian Pathologist, and many more. To become a veterinarian engineer you have to go to college for 4-6 year and you must earn a Veterinary Medicine Degree, and a Bachelor's Degree. Some courses you have to take to get your Bachelor's Degree are: Microbiology, Animal Management, Anatomy and Physiology, Animal Nurtrition, and Equine care. Some courses you have to take to get your Veternary Medicine Degree are: Animal Behavior, Veterinary Pharmacology, Animal Nutrition, Clinical Pathology, Large and Small Animal Medicine, Diagnostic Imaging, and Anesthesia and Surgery Principles. Some colleges that you can get the education from is: University of California, Cornell University, Colorado University, North Carolina State University, and more.